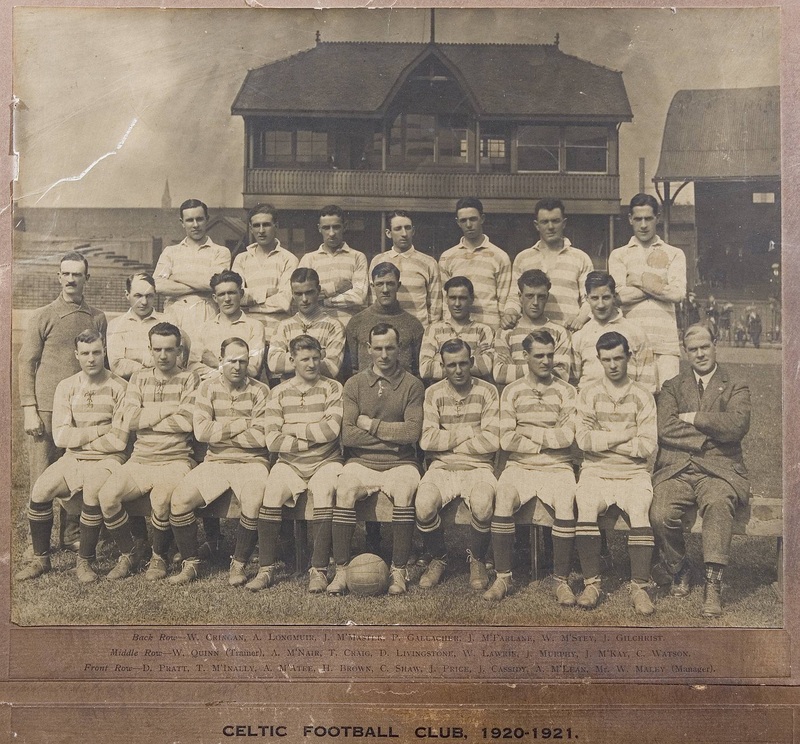 John Gilchrist was a right half who joined Celtic from St Anthony’s juniors in May 1919 at the age of 20 and made his first-team debut against Dumbarton in a league match on 18th August 1919. Over the following four years, John made 134 appearances for Celtic, his meagre tally of six goals suggesting that he was a defensively – rather than offensively – minded performer. Unfortunately, he also seemed to be the type of character who stood up to Willie Maley rather than kow-tow to him and they had more than one set-to. Even worse, John seemed to be the type of guy who had ‘a good conceit of himself’ and this self-belief was only increased when he was picked for Scotland versus England at Villa Park on 8th April 1922. Unfortunately, in the months following his ‘cap’, John’s behaviour deteriorated and in January 1923, he was suspended sine die by the club for ‘wilful inattention to training’. On this day in 1923, John Gilchrist was transferred to Preston North End for the princely sum – at the time – of £4.500. This entry was posted in On This Day - By Jim Craig, Uncategorized. Bookmark the permalink.